Together, they propel two young women to chase a new life--one that's reimagined from what they might have become. In turn-of-the-century America, a young girl dreams of a world that stretches beyond the confi nes of a quiet life on the family farm. With little more than her wit and a cigar box of treasures, Mable steps away from all she knows, seeking the limitless marvels of the Chicago World's Fair. There, a chance encounter triggers her destiny--a life with a famed showman by the name of John Ringling. 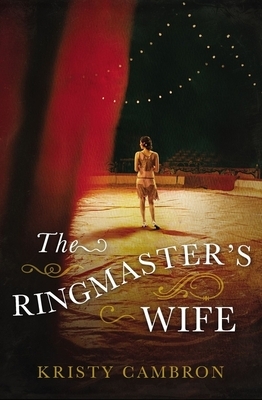 When Rosamund's path crosses with Mable's and the Ringlings' glittering world, she makes the life-altering decision to leave behind a comfortable future of estates and propriety, choosing instead the nomadic life of a trick rider in the Ringling Brothers' circus. Kristy Cambron fancies life as a vintage-inspired storyteller. Her debut novel, The Butterfly and the Violin, was named to Library Journal's Best Books of 2014 and nominated for RT Book Reviews' Choice Awards Best Inspirational Novel of 2014 and for the 2015 INSPY Awards for Best Debut Novel. Her second novel, A Sparrow in Terezin, was named Library Journal's Pick of the Month (Christian Fiction) for February 2015 and a Top Pick for RT Book Reviews. Kristy holds a degree in Art History from Indiana University. She lives in Indiana with her husband and three young sons. Website: www.kristycambron.com Twitter: @KCambronAuthor Facebook: Kristy-Cambron-Author.